Has a song ever made you buy a video game? I might have never picked up Nippon Ichi Software’s 2003 tactics RPG Disgaea: Hour of Darkness if not for the punk rock tune Atlus decided to use for the U.S. translation. You won’t hear Tsunami Bomb’s “The Invasion From Within” in the Japanese version of Disgaea: Hour of Darkness, nor will you hear it on the re-releases for Nintendo DS, PSP or PC. Atlus USA licensed the track specifically for the U.S. translation of the PlayStation 2 version of the deep tactical RPG—you don’t even hear it if you play the game with Japanese audio. And yet somehow this dark and driving tune, with its organ intro and almost incomprehensible lyrics, is the first thing that pops into my head whenever I think of the Disgaea series. 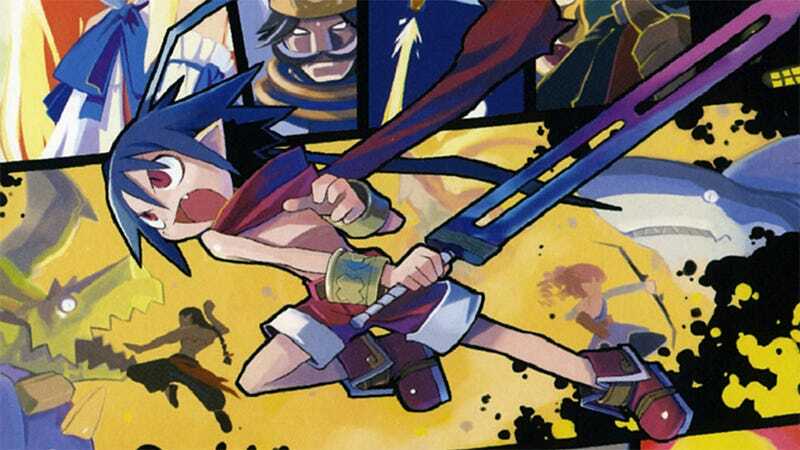 I’ve talked to many fans of the Disgaea series who’ve never heard “The Invasion from Within.” Obviously they weren’t frequenting GameStops back in the summer of 2003, when the trailer featuring the song would play at regular intervals. Or the didn’t score a copy of Official U.S. PlayStation Magazine demo disc 75, which featured said trailer and got played over and over again in my PS2. They fell in love with the Disgaea series for other reasons, and that’s fine. There are plenty of reasons to enjoy the deep and engaging series—comical characters, endless hours of play, tons of micromanagement. I enjoy all of those things. Hell, I even have unofficial series mascot Etna (take that, Prinnies!) tattooed on my person. For me, it all started with the song. Now, 14 years later, Nippon Ichi Software is preparing to release Disgaea 5 Complete for the Nintendo Switch next week (a demo is available now). I still hum “The Invasion from Within” while playing.